Art wondered if this were true. He looked at the notice more carefully. It said he was in Division O. “Is it a number oh like zero or a letter O like Objection, your honor, I’m out? !” Draco asked. “What difference does it make?” Art questioned. Maybe Draco was right, Art considered: he should be able to reschedule court for something as important as a bike trip planned weeks earlier. His attorney had explained that judges often gave several dates to the attorneys and let them choose based on their availability. If the attorneys could be accommodated when they were in court all the time anyway, it made sense to Art that the courts would give even more leeway to “regular people” who had better things to do than to go to court in the first place. On the other hand, the thought of going to court concerned him. He had seen all kinds of court injustice on TV documentaries. Not to mention horror stories from divorced friends. What if he was going to have to go before the judge and what if that judge did something outrageous like give the kids to Angela full time and order him to pay thousands in alimony and child support? What if he missed court and it turned out to be “Kramer v. Kramer” and he was Dustin Hoffman with his children ripped from him?! What about the need to hire an expensive law firm that protects “men’s rights” like in those commercials on The Fan sports radio? The attorney explained that skipping a hearing does not make sense, and courts frown on it. A party needs to be there to weigh in on important issues. She also pointed out that most parties do not like having their divorces drag on and on. Better to hit each deadline and be done with the process expediently than to keep dragging things out and running up fees, not to mention the tension inherent in any court proceeding. She explained that it is usually better to err on the side of moving things along. As for scheduling, courts often are more accommodating to attorneys than to parties for the practical reason that attorneys are in court frequently and need to coordinate court dates in order to do their job and represent multiple parties. 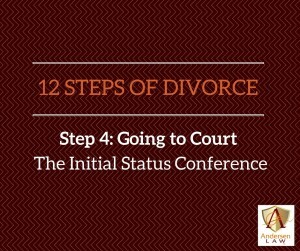 The parties, by contrast, usually have only one divorce or family law case at a time and are expected to schedule around court dates. It is a double standard but for good reason. On the other hand, showing up without an attorney when the other party has an attorney can be risky business. Attorneys know how to get orders entered and deadlines set whether before a court facilitator, magistrate or district court judge. They have the pro se (self represented) litigant at a disadvantage due to their comfort and facility with the court process, their knowledge of the law, their experience in handling multiple family court cases instead of just one (or “just three” in Draco’s case), and the fact that court personnel understand that attorneys bring experience and accountability to the process which most pro se parties do not possess. Art’s attorney did make one intriguing proposal that Art wanted to try: agree on a Stipulated Case Management Plan instead of an Initial Status Conference. This option, available only when both parties have counsel, avoids the expense and hassle of the court appearance. 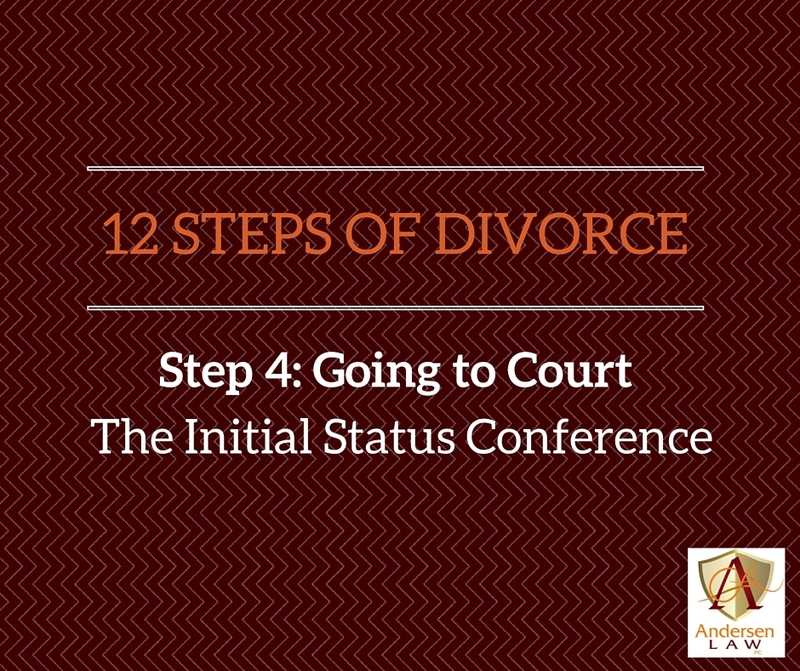 When he found out, however, that he might not know if the other parties agreed until shortly before the hearing, he realized he needed to make up his mind about whether to just attend the court date. After this informative telephone consult, Art decided to skip the Moab bike trip and attend the initial status conference in the event they did not agree on a Stipulated Case Management Plan. Given that Art was not able to avoid the conference through stipulation, he was glad he attended. As his attorney had informed him, the magistrate issued deadlines for incomplete disclosures (Art needed to get additional retirement information, and Angela needed to get more information about the probate of her father’s estate), set a deadline for appointment of a Child Family Investigator (CFI) if either party wanted one, set a deadline for mediation and a deadline for the appraisal on the marital home. Art and Angela’s attorney scheduled Temporary Orders with the magistrate. Art was given a chance to weigh in on the dates this time and did not want a date during his work retreat. His attorney discretely mentioned this date as unavailable and was not asked to give a reason. Again, Art was glad that he was there to weigh in. Art’s attorney asked if there would be a Minute Order. The magistrate said there would be and it would be available on ICCES. Art’s attorney said this was the court filing system and that she would get a copy to Art. She said it was usually a short paragraph, less than a page, summarizing all the deadlines and other court orders from the conference. It all went so fast that Art was not fully sure what happened before he left the courtroom. His attorney and he sat in the hall outside the courtroom while she filled him in on what happened. She also met with Angela’s attorney to exchange names of mediators and real estate appraisers for the case going forward. The parties visited the docket clerk to find out who would be their District Court judge on the case and to set dates for contested permanent orders in case they did not settle the case. This clerk was also able to help them set up mediation with a mediator for the Office of Dispute Resolution (ODR) who operated out of the courthouse. Art learned these mediators charge the rate of $120 per hour, more affordable than many other mediators. Angela, however, was not sure as to which mediator she wanted to use, so they decided to hold off on scheduling mediation. Art could not believe that their judge would not be able to hold a permanent orders hearing on their case for several months. All the more reason he hoped that Angela and he could reach agreements without a hearing. While visiting the docket clerk, Art was able to see one of the Court Facilitators in action. At least Draco had been right that this person met in an office, not a courtroom. She did issue a scheduling order, however, he saw by watching the parties get their copies. The written document had many deadlines and she was issuing a Minute Order, to be signed by the court, like the one the magistrate had done in his case. Of course Draco had to call and brag about all the fun Art missed as soon as he got back from the Moab trip. Draco had sprained his ankle and broke a bone in his wrist crashing off trail on Elephant Rock which was not surprising. Draco followed his “No Brakes No Glory” philosophy in biking as well as in personal relationships and court for that matter. “Time for your Advil,” Art heard a young woman’s voice in the background during the phone call with Draco. “Oh, is that your daughter?” Art said. “I didn’t realize you have your kids this week. Listen to what Draco says. Do the opposite, Art reminded himself. Meanwhile, Art’s soon-to-be-ex-wife Angela received an email entitled “discovery and depositions” from Draco’s soon-to-be-ex-wife Desdemona. The two of them were soon on the phone. Angela was beginning to think she should listen to what Desdemona said and do the opposite. Questions for May (Discovery and Depositions): What is discovery and what are good questions for discovery? Should Angela even serve discovery? What are interrogatories? What are document requests? What is a deposition and is it necessary in a divorce case?